Perfect for any secret agent that likes to party! 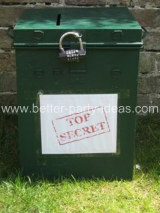 A spy birthday party is a great party theme, popular with boys but just as much fun for young female secret agents. A good spy party takes a little bit of preparation but nothing too difficult. These should take the form of an invitation to take part in some kind of special mission. Send out your invitations in a plain envelope marked Top Secret. To report for a very special mission. Extra operations training will be necessary. This is reasonably easy. Spies wear suits and raincoats with the collars up. They have special watches and other gadgets. They also wear trilby type hats and sunglasses. False moustaches or beards are another interesting option. They tend to carry briefcases or newspapers. As you can see below there are plenty of simple kids party games that can easily be adapted for a spy party. The important thing is to take a little time to try to make things look authentic. Just pulling the instructions for a game out of an envelope marked Top Secret can make all the difference. 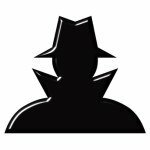 You can easily design or download little secret motifs, codewords and spy pictures from the internet. Print them out and add them to your props. Similarly if when explaining games you state something like "Now all good spies need to be…....."
One plan for the entire party that you may like to incorporate is to call the event a spy training day. You could give out a little certificate at the end to all "successful" spies. This game takes its name from the young spy hero of Rudyard Kipling's famous book Kim. It is very easy to do but very popular. In advance you need to prepare a tray with small objects, ornaments and nic-nacs. For kids aged 7+ you need about 25 different pieces. These are just some examples you can use pretty much anything you like. It is fun to mix smaller items with ones that really stand out. Divide your children into teams of about 5. You may like to assign each one an adult helper to act as secretary. Put your tray of objects in the middle of the children. They have 1 minute to look at the tray. You could turn the tray every 15 seconds. Then remove the tray.The children now have to go off and try to remember as many items on the tray as they can. These all being written down. After a set amount of time - judge this but about 4 mins is usually sufficient. Read out all the objects they should have remembered and mark the sheets to find the winning team. This is another great game for wanna-be spies. Take one team out of sight and let them choose their disguises. The other team sit in a line. One by one the disguised agents walk along in front of them. The first child carries and leaves behind a briefcase. The second child then walks the line and collects it. This continues until all the disguised agents have walked the line. The other team have to try to identify the agents as they walk past. They could simply call this out but you may like to use an answer sheet. The winning team is the one who guesses most agents correctly. Tip - An adult should supervise the disguised agents and record the order they walk out. It may also be necessary to perform a "credibility check" i.e. you are not allowed to wrap a scarf totally around your head etc. This is a spy party version of duck duck goose. The children sit in a large circle feet facing inwards. Space them out if you have fewer kids and plenty of room. One child is chosen to be the spy. They walk around the outside of the circle gently tapping each child on the head. As they tap each child they say "Agent". After passing by a few agents they suddenly tap the next child on the head and shout "Traitor". They then set off running around the outside of the circle. The traitor must jump up and chase them around the outside. The first child tries to run completely around the circle and sit down where the traitor once was without being tagged. An alternative is to have them run around the circle in opposite directions. If they make it the chasing Traitor then becomes the spy and the game is repeated until everyone has had a go. If you have the popular kid's game Pass The Bomb this is a doddle. The game contains a simple plastic bomb that conceals a timer and buzzer. If you don't you can simply make a fake bomb. A few 20 cms lengths of dowel rods (broom handle) painted red and taped together with a few important looking wires hanging out to make a nice home made effort. Divide your kids into 2 teams and line them up on opposite sides of the venue. Walk down each line giving each player a number. They must stay in numbered positions. The game is quite simple. The unexploded bomb is placed in the hands of any player. An adult calls a number and the bomb holder must run and place (no chucking) the bomb in the hands of that numbered person on the opposite team before returning to their own place. Another number is quickly called and the new bomb holder has to quickly carry it back to that number on the other side. The game continues at quite a pace until the bomb goes off. The team not holding the bomb when it goes off wins a point / prize. If using a home-made bomb simply have an adult use a stopwatch to mark different times (30 to 90 seconds) before sounding a hooter, banging a tin tray or similar. For added fun everyone can shout bang whenever a bomb goes off. 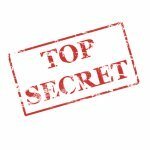 This spy party game takes a little preparation but is well worth it. It can take various forms but basically the spies need to crack a code to open a box. Any suitable box can be used - a document box works well. The code is on the padlock. The padlock in the picture (available from stationers and hardware stores) has a letter code that can be set to a specific word or name but a number code will also work fine. Hide letters (printed on card) around the venue. The letters spell the codeword i.e. Alice. If using a number lock each letter would also have a small number at the foot of each card which when the letters are arranged in the right order reveal the number combination. Have A4 size pictures of animals cut into 4 or 5 pieces scattered around the venue. By piecing together the pictures the spies take the first letter of each animal to spell the code. Or for number codes each completed picture has a small number added. The codeword still needs to be worked out using the first letter of each animal and then the corresponding pictures reveal the number code in order. If you have enough room devise a series of clues that take the spies all around your venue with perhaps every other clue revealing a letter or number before sending you on to the next place to search. When you find the last letter or number you have the code. There are many other ways of presenting clues but do not try to be too clever. If you only have a padlock with a key your clever clues could all point to the key's hiding place. Of course once the spies have worked out the clues and found the codeword or number they are free to try to use it to open the box. Inside of course is the Top Secret File …….. or at least some sweets! Kids love tug of war and its a great finish to a spy birthday party. Give it a simple secret agent twist by having a "Top Secret File" attached to the middle of the rope. Each team has to try to pull it back to their base.